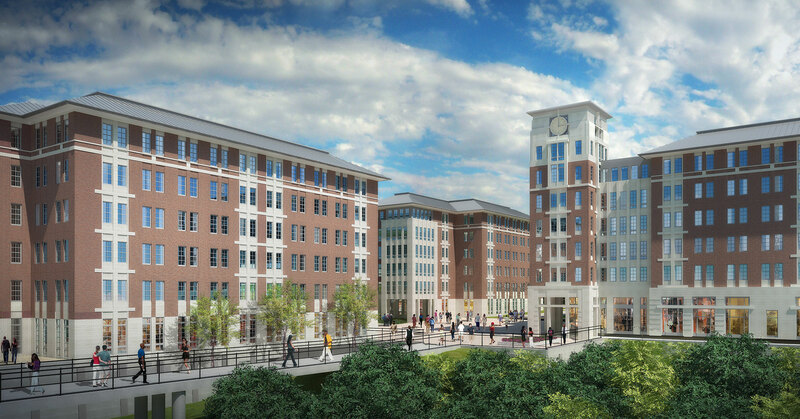 Campus Village is large-scale mixed use public private partnership. 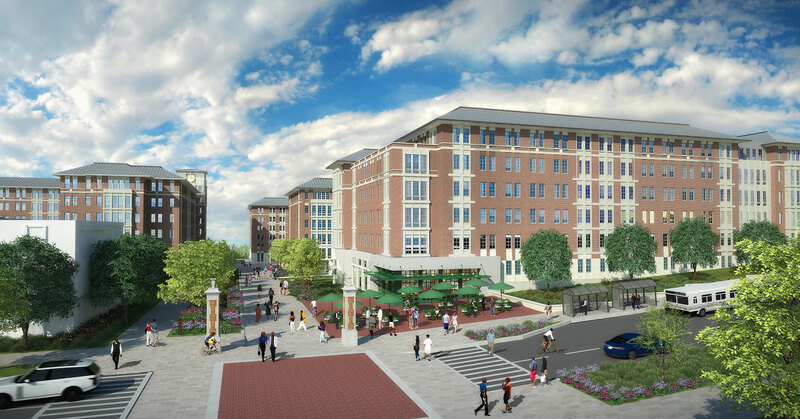 The project includes eight residential hall buildings totaling 3,750 beds, a parking deck, dining hall, campus recreation, Starbucks, convenience store and multi-purpose learning and academic support spaces to be built over three phases. Master planned to feature a pedestrian promenade that links to the rest of campus, the buildings are organized to create a series of interconnected outdoor spaces and to respect the residential scale of the adjacent neighborhood.